Brock Lesnar flattop haircut. Photo by AllWrestlingSuperstars.com. The Brock Lesnar flat-top crew cut hairstyle is characterized by a short cut in which hair is designed to stand up no more than an inch with a square top appearance. The origins of this style date as far back as the 1950s and remain popular into modern society. It is most commonly seen in the military and police force. 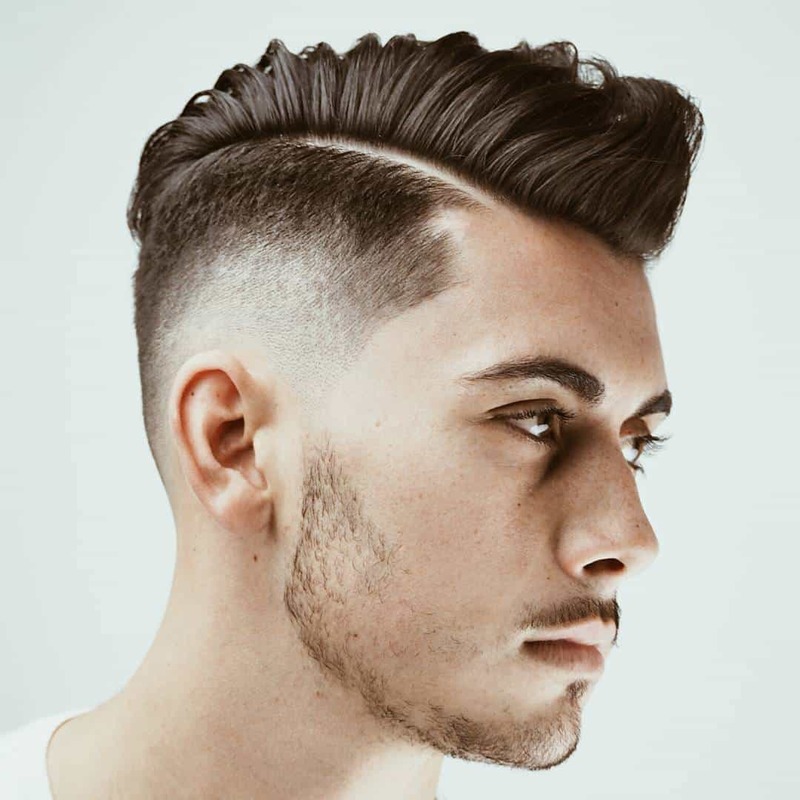 This style of hair for men and boys involves a cut in which hair on the top of the head is cut short with the length graduating from the front to the back. The upward or downward slope of the hair is what characterizes it as a flat top. It is defined as having harsh lines and angles and is believed to be a true expression of masculinity. An electric clipper is used to cut the back and sides close to the scalp while leaving the top slightly longer to be trimmed to represent a square-shaped top. The mid-1950s was the most popular era for wearing this style. It represents a strong work ethic and physical fitness for many men. Younger generations sporting this cut have followed in the footsteps of sporting heroes. These include former wrestler and UFC champion Brock Lesner. The athlete is famous for his fighting style, intensity and characteristic haircut. In order to maintain the upward inclination of the hair on the top of your head it is usually blow dried to obtain its unique appearance. Scissors can be used to trim the edges into the desired shape. A particular area shaved shorter in comparison to the rest of the hair is often referred to as the landing strip. Brock Lesnar flattop crew cut. The style is relatively simple to maintain and requires weekly trims to keep the desired shape. This haircut has been worn by professionals from all industries, across cultures and orientations. The Brock Lesnar flat-top crew cut hairstyle is popular among men who possess images of power and self sufficiency. I will make this hairstyle for me after 5 years, when I have such muscular system like Brock Lesnar has. lesnar hairstyle has nice i do this hairstyle.